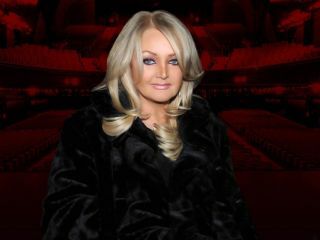 80s icon Bonnie Tyler will sing "Total Eclipse of the Heart" at the moment of totality on Royal Caribbean's Total Eclipse Cruise. Total eclipse of the heart, meet a total eclipse of the sun: Bonnie Tyler's iconic hit from the 1983 is about to be in the right place at the right cosmic time. Tyler is set to be a stellar guest on Royal Caribbean's Oasis of the Seas for the company's week-long Total Eclipse Cruise, Raisa Bruner reported at Time, and the pop star will sing her classic, "Total Eclipse of the Heart," just as the moon fully covers the sun. After the moment of totality, the cruise will continue to St. Maarten, St. Thomas and the Bahamas. Tyler's totality performance will be accompanied by the band DNCE, who are best known for their 2015 song "Cake By the Ocean," according to Time. You can read an interview with Tyler about rehearsing for totality and the making of the hit on Time.com. Visit Space.com to see the total solar eclipse on Aug. 21, with a live webcast from NASA beginning at 12 p.m. EDT (1600 GMT).